Since early 2016, the Netgear AirCard 790 Mobile Hotspot with LTE Advanced Cat6 and large touch screen display is available in the market. 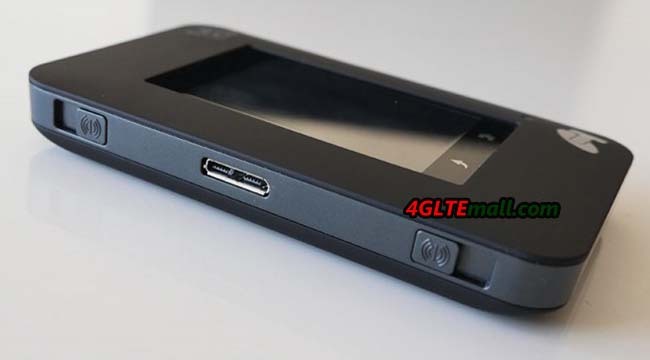 The device is priced settled in direct comparison with the competitors of Huawei E5786 and Alcatel One Touch Y900. In LTE network, the router can reach up to 300 Mbit/s, the connection to the connected devices runs through MicroUSB 3.0 or Dual Band WLAN ac. We will check the detailed features of Aircard 790s. The Netgear AirCard 790 router is supplied in a small cardboard box. In addition to the device itself, you will find a power supply with an output of 5 volts at 1 amp and a USB to Micro-USB 3.0 cable included. The power supply has a modular design and is supplied with an “adapter” for the common use in Europe socket. This of course is useful if you want to make even a holiday or a business trip. Besides the normal USB cable, another short “Jump Boost Cable” can also be found yet in the package. This allows you to connect an ordinary USB charging cable and thus the use of the Netgear AirCard 790 for charging other devices ( “Power Bank”). Holding the Netgear AirCard 790 hotspot for the first time in his hand, this feels good. The workmanship is good and the weight of 136 grams including battery is completely pocket-fit. Also the large display is on the front, which is easy to read. But more on that later. The Netgear AC790 Hotspot has a current LTE multimode modem Qualcomm MDM9230 that for LTE Advanced category 6 ( “Cat6”) with up to 300 Mbit/s supported in the downlink. In the uplink up to 50 Mbit/s are possible. In the test with a mobile data plan, around 200 Mbit/s can be achieved, the ping time was on average about 25 milliseconds. The data rates fluctuated quite widely depending on the radio cell and the time of day, but this is quite normal. The reception at the LTE network on 800 and 1800 MHz was good, better than many smartphones. If necessary, you can receive and data rates with an external antenna optimized to stand side of the AirCard 790 Router (two TS-9 connectors). The terminals are protected by a small sliding mechanism from dust. Of course, the Netgear AC790 is also the 3G/UMTS network backward compatible, here are DC-HSPA+ up to 42.2 Mbit/s in the downlink and up to 5.76 Mbit/s in the uplink possible. 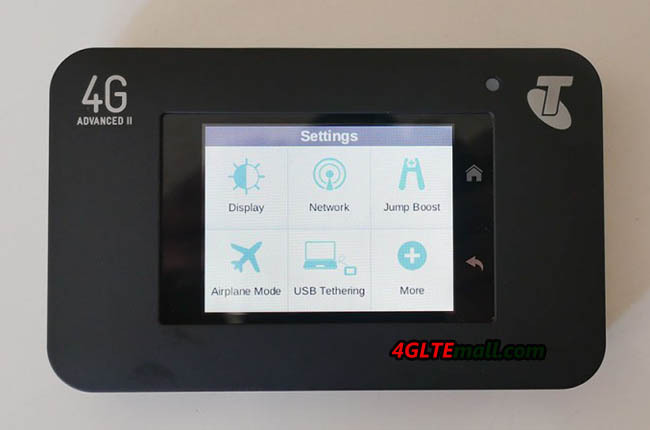 2G and the GSM network is not supported, although Netgear advertises on its homepage partially. This is unusual for a mobile hotspot. 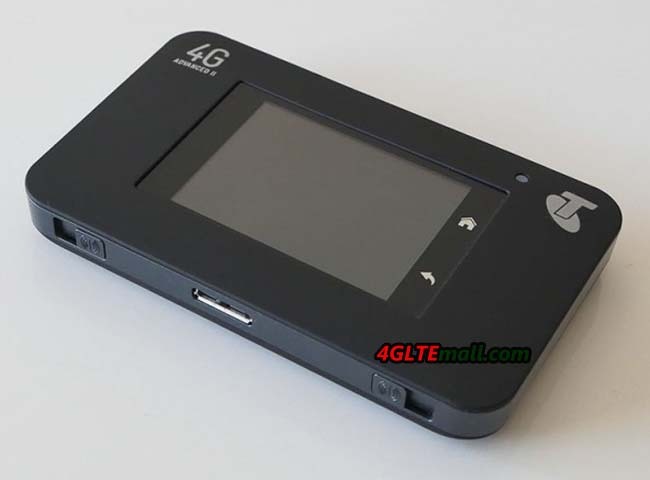 But since 4G is now the mainstream and 3G is now widely used, 2G may not be necessary now in most areas. Up to 15 devices can be powered wirelessly over WLAN with an Internet connection at the same time from Netgear AirCard 790s router. The connection is made either in the 2.4 GHz or 5 GHz range, thanks to the 2 × 2 MIMO antenna technology and Wi-Fi 802.11 ac, speeds of up to 1,200 Mbit/s. Fast enough to see the full LTE speed to use Cat6. The WLAN range was in the test quite well, the data rates increase – particularly in the 5 GHz band – but very quickly, as soon as a wall is between the router and the terminal. On request, you can also use USB ( “USB Tethering”) for connection and the WLAN can be optionally completely disable. The Netgear AC790 supports both multi-SSID as well as a guest-Fi function. So you can, for example, separate the private network from another shared WiFi network. On the maximum number of connected devices that are not altered, the number of 15 devices refers to all wireless networks simultaneously. While many mobile LTE routers provide a small display for displaying important information, but the setup and configuration of the device usually requires a computer or at least a smartphone app. When Netgear AirCard 790 hotspot that is different, the router has a large touchscreen display on the front, so that the web interface normally is not required. Operation is self-explanatory thanks to large icons and clear labels, the capacitive display reacts quickly and properly. At the side of the display, there is “back” two soft-touch buttons and “Home”, which are also self-explanatory. The display switches off after a short delay and without actuation independently, so that the energy consumption is not too high. A bright LED above the display then informs about the operating status. On the home page or the “home screen” all relevant information are clearly displayed, for example, the battery level, the number of connected devices, the used data volume and the network operator. Even the SMS function is easily available on the touch screen display, even if the keyboard is of course advised quite small. 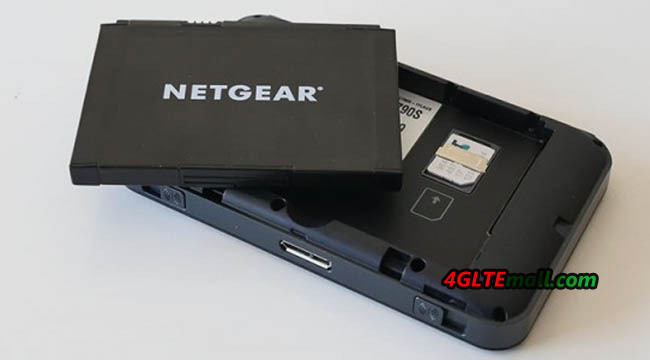 The battery of the Netgear AirCard 790 hotspots has a capacity of 2,930 mAh and is easily replaceable by the user. The Aircard 790s can be charged via USB cable, including power supply, but also easy to charge with a possibly existing smartphone PSU including microUSB port. The operating time is about 11 hours according to Netgear. In the test, this figure could be reached fairly accurate. With the included “Jump Boost cable”, the Netgear AirCard 790 hotspot can be also used for charging other devices, such as smartphones. Although this is not very efficient, a full battery charge may not be possible in most smartphones, but the Jump Boost function definitely interesting for a short “recharging”. Netgear provides for the AirCard Hotspot series of two docks that extend the mobile hotspot to a “real” stationary LTE router. The two devices are called DC112A and DC113A, where currently only the DC113A is available. The Cradle DC112A is significantly better equipped than the DC113A dock, so you get the DC112A as four Gigabit LAN ports, one Gigabit WAN port, two high-performance WLAN antennas and an improved WLAN module. The connections for an external mobile antenna are “looped through”, so that one also can connect an external antenna LTE (2x TS-9 connector) at DC112A. 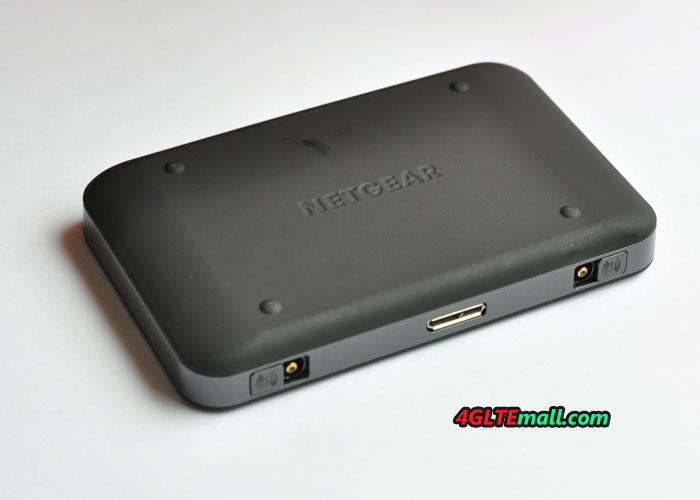 The Netgear AirCard AC790S Hotspot could convince in the test with a large variety of functions and the latest technology. 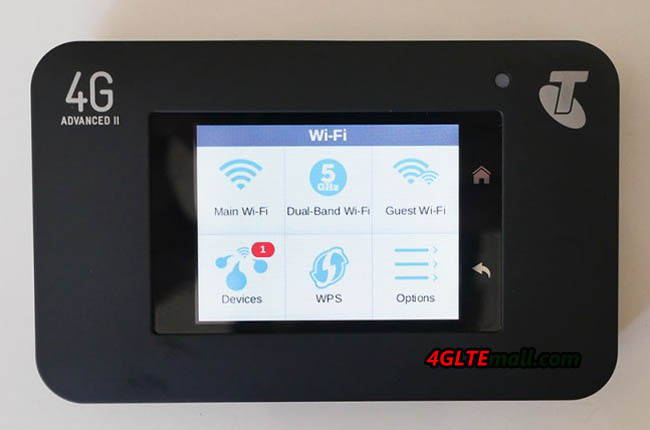 The modem is fast and the Internet connection even with frequent cell Jump stable, the WLAN module scores with good data rates and many setting options. Some prospective customers will also complain about the lack of WiFi Extender function. The Aircard 790s is offered at good price than its competitors. 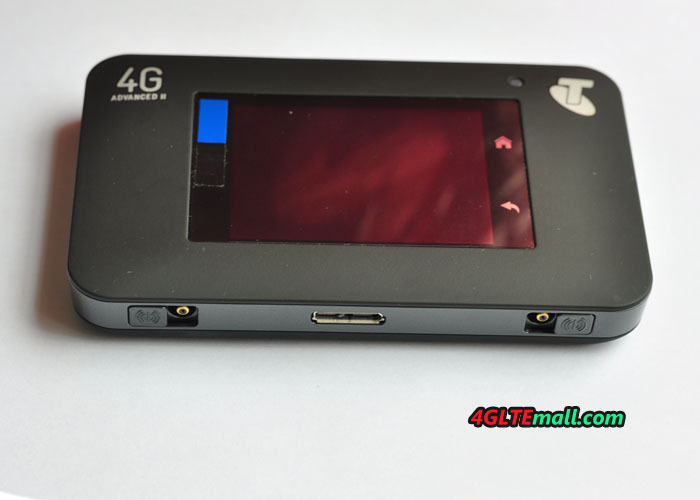 It’s a recommended 4G pocket router with aggressive price! It seems the LTE category 4 UEs are now the mainstream in the market. More and more wireless routers, mobile hotspots or USB dongles are available to better support the upgraded networks from the operators. But we also see some new devices with new technology which is available for some providers. We had introduced two LTE Category 6 mobile hotspots last year: Huawei E5786 and ZTE flare. Today, we will intoduce a new LTE pocket WiFi router Netgear 790s. The Netgear 790s also named aircard AC790s. It’s now available for Australian network provide Telstra. And it’s named Telstra 4G WiFi Advanced II which is upgraded from its predecessor Netgear AC782s. 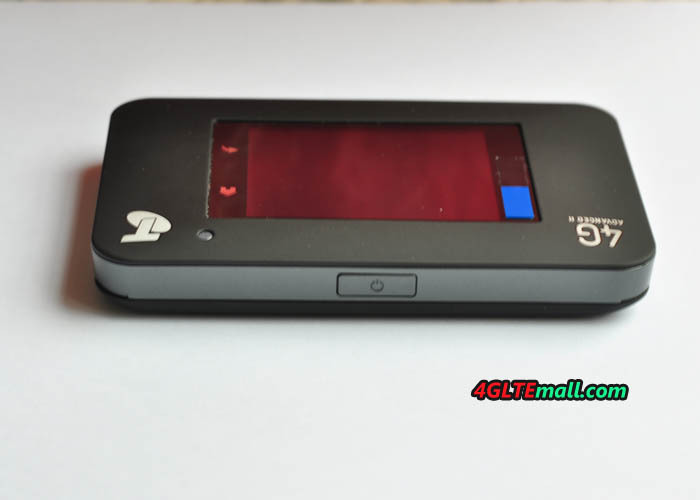 The Aircard 782s is a LTE Cat4 mobile WiFi which supports peak download speed to 150Mbps and upload speed to 50Mbps. The upgraded Aicard 790s could achieve double speed than AC782s, i.e 300Mbps for downstream. It’s amazing! The appearance of AC790s looks similar to Aircard 782s but seems cooler. With more powerful battery, AC790s could work much longer time than its predecessor. Aircard 790s is decently sized, fitting into your palm. On the bottom, you can find two external antenna ports, a microUSB 3 port (though only a microUSB 2 cable is included in the box) – presumably to make the most out of tethering over USB. On top, there is a power button. The front of Netgear AC790S is a touchscreen, with home and back capacitive buttons on the right side. User can operate the major features and the settings here and don’t need to open up the Aircard APP or the web based UE. User can see the connected devices quantity and change WiFi settings(enable dual band WiFi, block/unblock devices by MAC, turn on guest wifi, easily connect devices that support WPS). 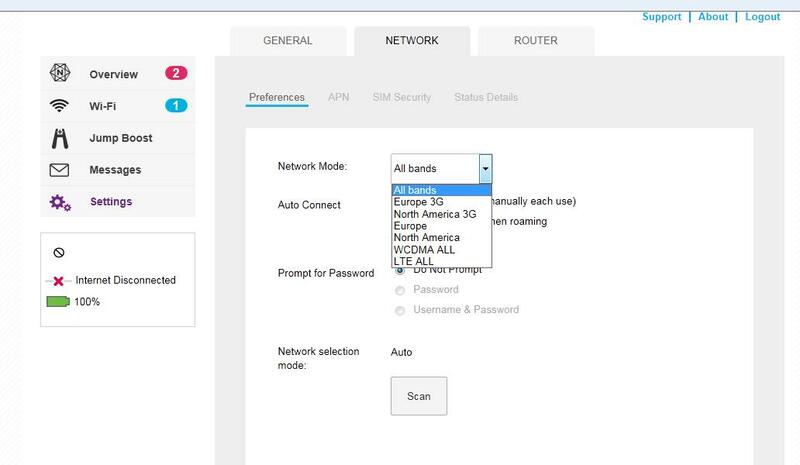 User can also enable the airplane mode, change network settings such as lock to 3G, 4G or Auto mode, view the network status, and see the data usage at a glance. 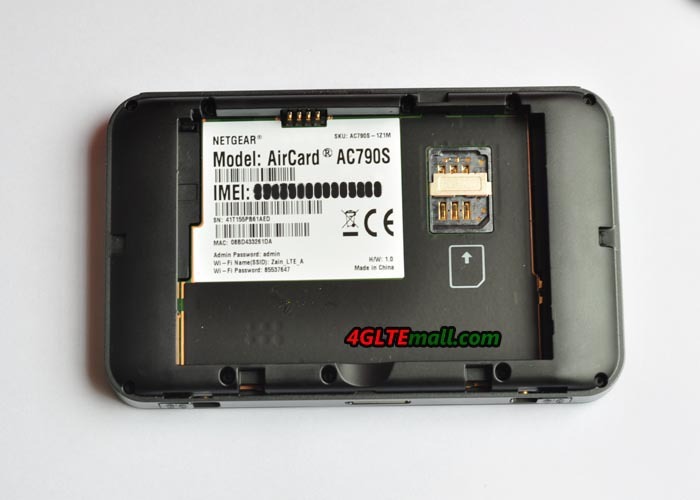 The back of Aircard 790s is equipped with a removable battery, with the micro-SIM slot hidden underneath. So before power on, you’ll need to pull the battery out to swap cards around. 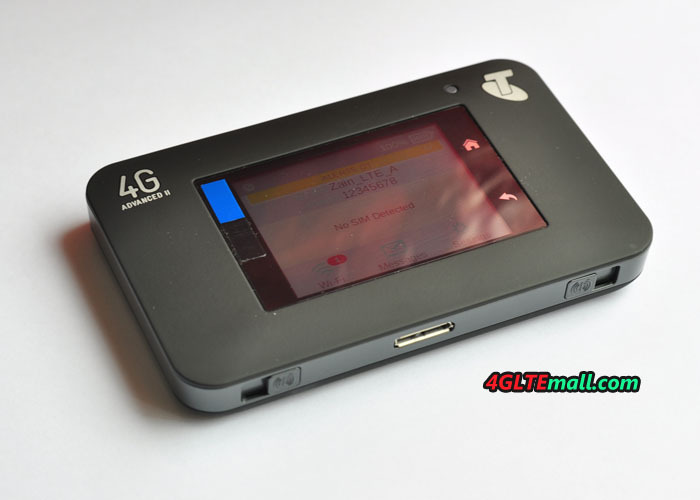 The “Telstra” logo is on the top left, with ‘WiFi Advanced’ also stamped on the front. The battery cover on the back has a subtle ‘Netgear’ logo included. 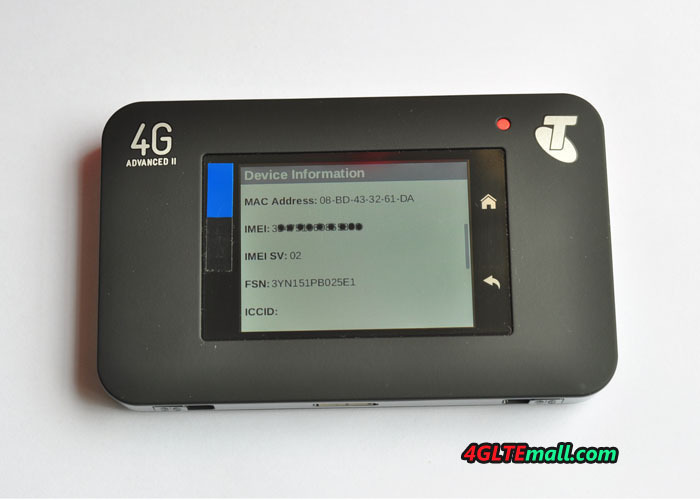 The Telstra Wi-Fi 4G Advanced II is a excellent mobile hotspot for anyone who needs the internet while on the go; with support for to get the best out of 4G today, and ready for more 4G into the future.